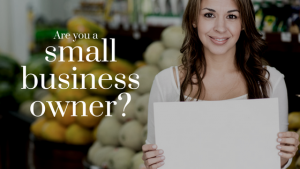 Latino-owned small businesses are among the fastest growing in the nation. At the same time, non-Latino-owned companies are serving an ever-growing Hispanic consumer market in Arizona with a combined spending power of more than $45 billion a year. Want to connect with this burgeoning market sector? Contact our Senior Director of Business Development Angie Mortemore (BSW, MBA), at 602.294.6085, ext. 202. Angie can tell you all you need to know about the benefits of joining the Arizona Hispanic Chamber of Commerce. No company is too small or too large to join the membership ranks of the AZHCC. Join Arizona’s economic transformation. Join Arizona’s future. Opening a new location? Ask about our ribbon cutting ceremonies. Take advantage of your membership and host a networking event at your business. Raffle a gift certificate to your business at the next AZHCC event and gain a new customer. Share special offers and discounts with your fellow members on our website. Post your next open house or event on our community calendar. Hiring? Post a job in our job bank.